The thought alone is enough to get your mouth drooling, isn’t it? Imagine sinking your teeth into a warm, thick crust covered in a tangy sauce, tantalising meats and decked with stretchy, melted mozzarella cheese. 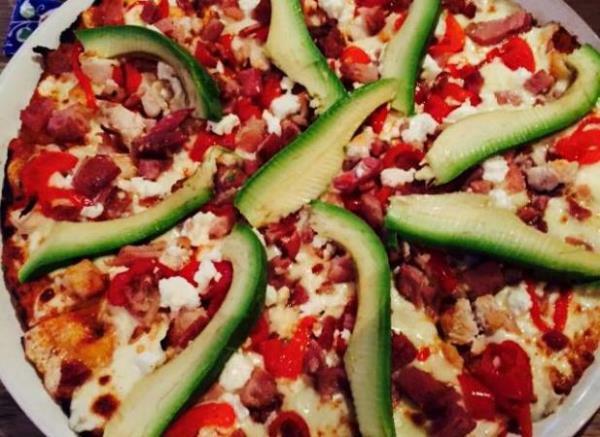 Every slice of pizza is a slice of heaven. But sadly, often our gluttony leaves us wanting more after we’ve taken that final bite. Well, a couple has kinda solved that problem. 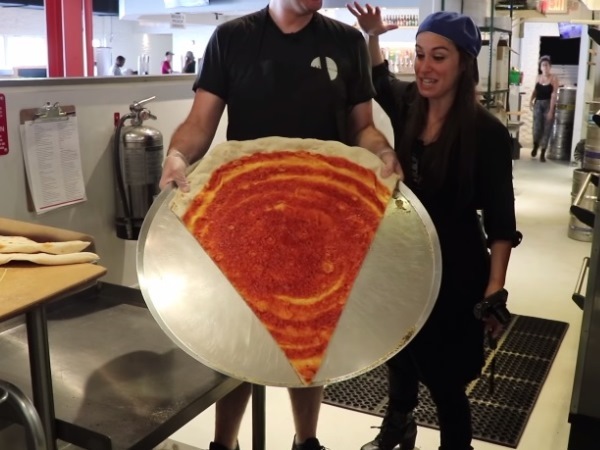 JP Lambaise and his wife Julia have created what could be the world’s largest slice of pizza. 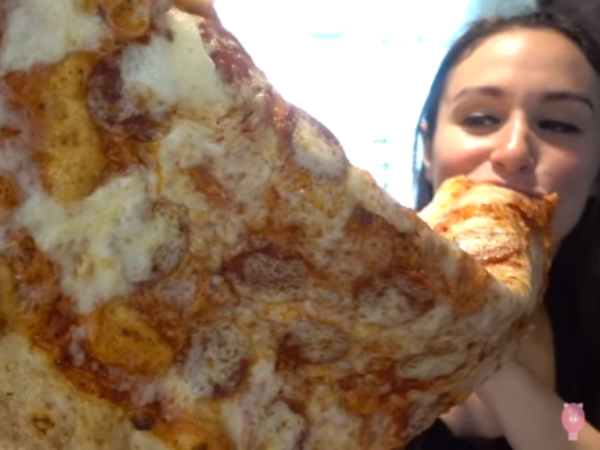 The couple, who run a YouTube channel called HellthyJunkFood, teamed up with Lazy Moon Pizzeria in Orlando, Florida, to create the gigantic slice of cheesy bliss. They shared a video, which documented the process, on their YouTube channel. The video racked up more than half a million views and had people drooling in the comment section. While we probably won’t have the privilege of tucking into the calorie-packed pizza slice, there’s no harm in feasting our eyes on it. Guilt-free pleasure at its best!